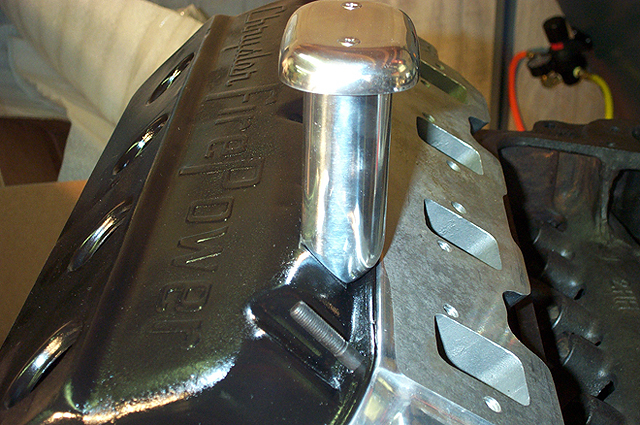 Traditional classic-style breathers are not only functional but they're mandatory if you're going for a classic look - you've got to run a set of valve cover breathers, hardware and gaskets. All are no name polished aluminum with non removable top. Fin Man 43 degree Valve Cover Breathers are designed for vertical installation in Hot Heads, O'Brien, Edmonds, Moon and other valve covers. Fin Man 32 degree Valve Cover Breathers are designed for vertical installation on M/T valve covers and others.